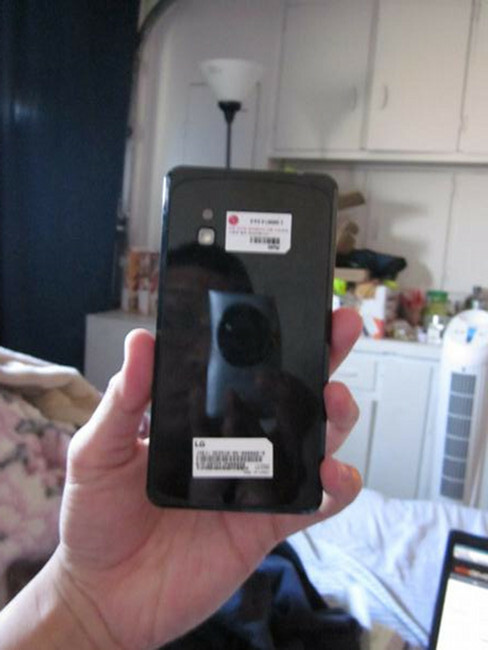 Remember the LG-E960, a device that we first reported last week after it cruised through the FCC? 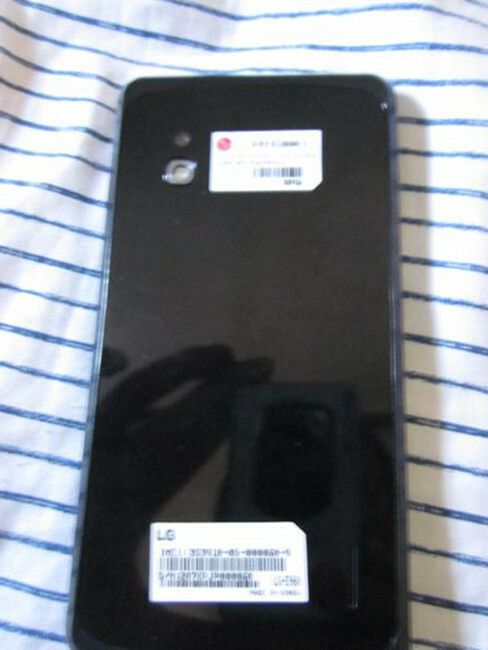 We questioned then whether or not this was the LG Nexus phone that the internet can’t stop talking about, and according to an XDA user, this is that same phone. He hasn’t said much about it’s origin other than a “random source” gave it to him and that it seems like a prototype. 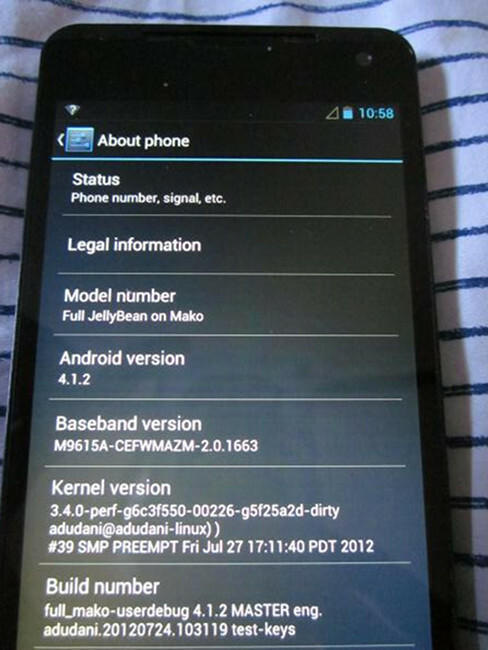 As we can see from the pictures, it’s running stock Android 4.1.2 (Jelly Bean) and carries the codename Mako. In the past, Nexus devices all hid under fish names until they were released, so this at least looks good for the sake of this being a Nexus. 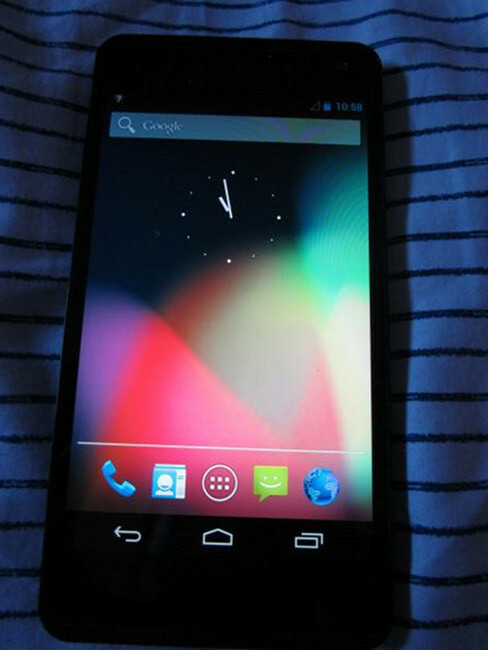 The shape and styling are as plain black as you can get, but it does have on-screen navigation keys, something Google introduced to smartphones with the Galaxy Nexus. Other than that, we have a couple of side shots that show a volume rocker and power switch on opposite sides of one another. 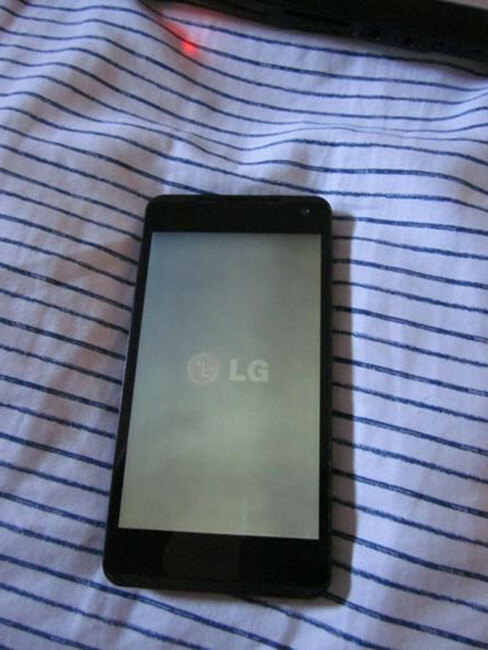 We can see a camera with a flash on the back side and an LG boot animation (which is odd if this is a Nexus). This tipster says that it works on both AT&T and T-Mobile. 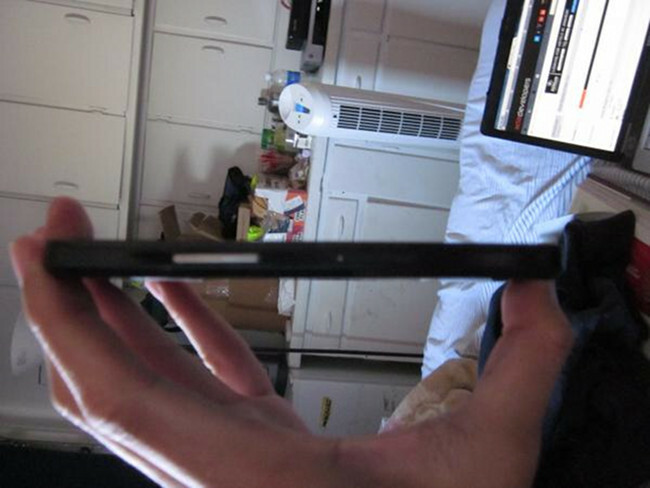 Update: Here is a set of pictures of the device without the dummy box. 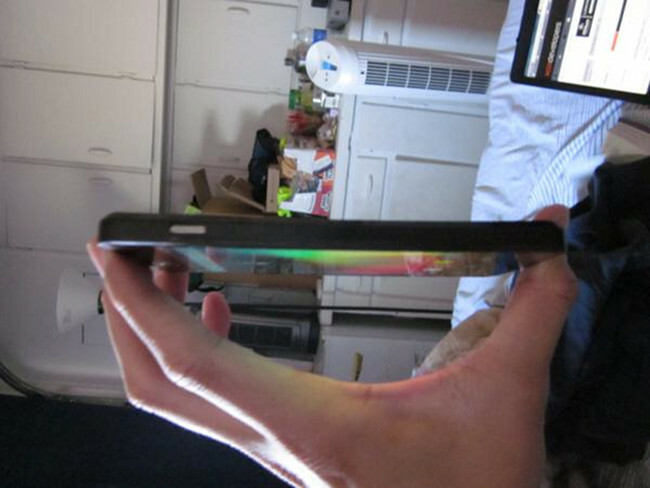 It does look like a Galaxy Nexus. I can’t help but wonder why it has the stock Android browser instead of Chrome? Didn’t Chrome become the standard with Jelly Bean? What do you guys think? Liking? Hating?